Earth Day is April 22 — did it sneak up on you? 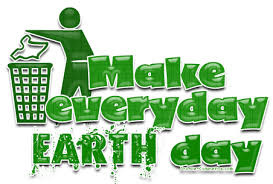 No worries, we’ve got last-minute ideas for fun, easy employee activities for Earth Day! Everyday employee engagement is built through rewarding, everyday activities. Even the simplest team-building activities can energize and bring people together.And celebrating Earth Day in the workplace isn’t just good for the planet, it’s good for people too. Most of these activities require little to no advance planning and can be picked up on the fly. 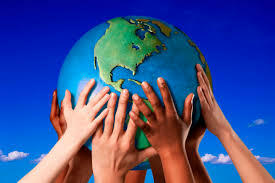 But they all celebrate what Earth Day is all about — appreciating our planet and keeping it beautiful. If your team spends most or all of their day inside, just get outside — take a meeting outdoors to a picnic table on company property, or encourage everyone to participate in a brown-bag picnic for lunch and bring treats to share. If your workers spend most of their day outside, try a change of scenery: get off the job site and explore a nearby park or wildlife area. Reducing carbon emissions by walking, biking or carpooling is just one benefit! Exercise boosts endorphins and will put everyone in a great mood for work. Carpooling can be a fun, social activity that brings together employees from different departments within the company. Reward these choices by handing out water bottles, energy bars, bananas, stickers or gift certificates for fruits and vegetables. All you need are gloves and bags. Beautifying your town or city by picking up garbage just feels good. Plus, the reward is instantaneous: So many things we do nowadays where you don’t see the result right away and this is just very direct. There’s a mess and then it’s gone! Get out a shovel and get some starter plants from your local nursery for a team planting event. Already have a garden? Spend the lunch hour weeding it. Don’t forget to bring in some Thank You treats for employees who participate. Invite everyone to participate — it’s especially important that company leadership take the time to work alongside entry-level employees in volunteer activities. It speak volumes to your company’s commitment to building a “we’re in this together” culture.